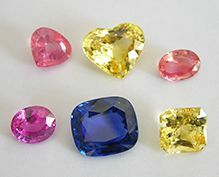 Currently positioned in the global market as the most important source of high quality sapphires, the Island has built her reputation as one of the finest gem cutting and finishing centres in the world, offering gem stones that meet the highest international standards. Sri Lanka is blessed with over 70 varieties of coloured stones out of the 200 found in the world and is among the five most important gem-bearing nations. The country’s breath-taking natural heritage comprises of varieties of gem minerals, which includes Blue, Pink, Yellow and Golden Sapphires, Rubies, Padmaradchas, Star Sapphires, Star Rubies, Alexandrite, Cat’s F, Spinel, Aquamarines, Topaz, Zircons, Garnets, Tourmalines, Moonstones, Quartz and a large number of rare gemstones.Sri Lankan Gem Suppliers & Dealers take immense pride in the fact that Sri Lanka is the world’s choice for calibrated and fancy cut gemstones, high value single stones and quality service cutting. Amongst the outstanding gemstones that Sri Lanka has produced in the contemporary era are the Blue Giant of the Orient (466 cts), Logan Blue Sapphire (423 cts), Blue Belle of Asia (400 cts), Rossar Reeves Star Ruby (138.7 cts), Star of Lanka (393 cts. Star Sapphire) and Ray of Treasure (105 cts. Cat’s Eye). The first three gemstones are on display at the Smithsonian Institute in Washington DC, USA. 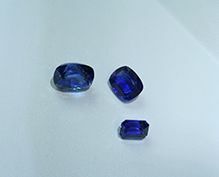 The Blue Sapphire or Ceylon Sapphire is Sri Lanka’s gem supreme, the origin of a 30 year fashion trend. The author Richard Hughes describes it thus the color of certain Ceylon blues has an ocular attack unlike any other in the sapphire world. It slashes the eye like a razor. Such stones have that which makes electric blue “electric, and in the Island of Gems are often compared to the blue portion of a peacock’s feather”. 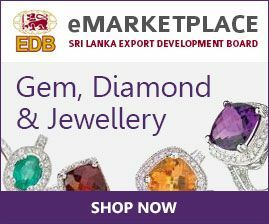 Sri Lanka’s Gem Industry consists of free size and investment gemstones, calibrated gemstones, rare gemstones and gem cutting services. Abundance of gemstones is mined in Sri Lanka or imported freely into the country. International standards lapidaries coupled with a skilled workforce adds lustre to Sri Lanka’s coloured gemstones making it the better alternative for calibrated and fancy cut gemstones, high-value single stones and quality service cutting. Charting the legendary history of the Ceylon Sapphire takes a traveler through such exclusive arenas as Royal Weddings, the HMS Titanic, and the red carpet of Hollywood. Kate Middleton wears a blue Ceylon Sapphire engagement ring, which Prince William famously exchanged to seal his love for her. The iconic gem was picked out by the late Princess Diana of Wales for her own engagement in 1981. The US$ 500,000 piece is an oval cut, 12-carat Ceylon Sapphire - of a particularly vivid shade of Cornflower Blue. In 1997, for the premiere of the blockbuster movie Titanic, Asprey & Garrard, the same London jewellers who created Princess Diana’s engagement ring, designed a real “Heart of the Ocean” necklace. The result was a platinum-set, 170-carat heart-shaped Ceylon Sapphire surrounded by a row of 65 round diamonds, totaling 36 carats and valued at over £2.1 million. The gravels of Sri Lanka’s gem bearing land hold the greatest concentration of gems on Earth. Out of the 65,525 square kilometres that makes up Sri Lanka’s land area, 90% is estimated as potential gem bearing land. Among the five major gem producing areas in Sri Lanka, Ratnapura or the “City of Gems” is the most prolific gem producing area. To this date, no place on earth has surpassed Sri Lanka’s seemingly endless supply of large, high quality precious gemstones. 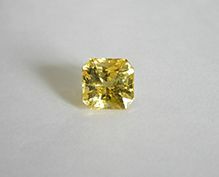 Lapidaries employing cutting edge technologies coupled with a highly skilled workforce, are geared to produces for the mass markets as well as the high-end luxury markets and even for the exclusive jeweled watch industry, meeting the highest international standards at each level, adds luster to Sri Lanka’s coloured gemstones. 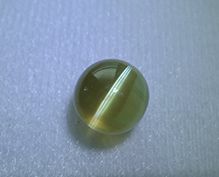 Sri Lanka is the world’s choice for calibrated and fancy cut gemstones, high value single stones and quality service cutting. 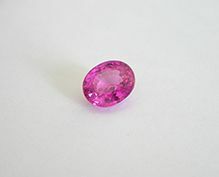 Gem dealers in Sri Lanka were instrumental in founding the International Colored Gemstone Association (ICA) in 1984, which is now the apex body for the global industry. 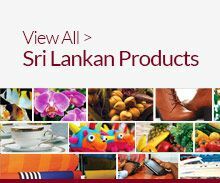 Sri Lanka plays a leading role in regulating and promoting international gem trade through the ICA.